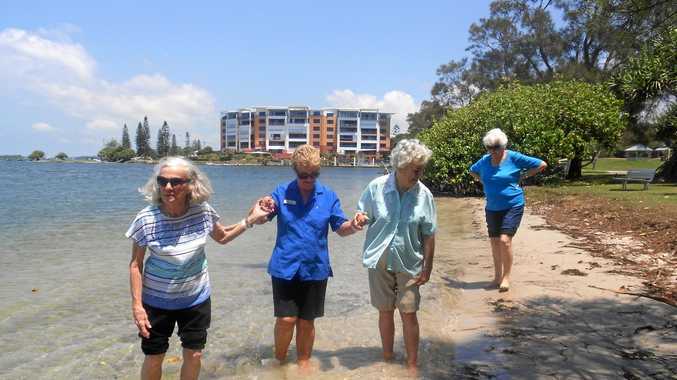 HELPING HAND: TriCare Kawana Waters residents taking a stroll are Val Bridges, Pam Tonks (lifestyle coordinator), Judith Stanton and Dawn James. HIGH quality care is the main guiding principle at TriCare Kawana Waters aged care residence and it is evident across all aspects of the community. From the delicious food that is prepared in-house every day to the innovative lifestyle program, residents are made to feel at home 24 hours a day. Lifestyle co-ordinator Naomi Poli says the TriCare Kawana Waters Lifestyle Program takes inspiration from Montessori principles whereby the activities residents take part in have a sense of purpose and capture their interest. "When a resident moves to TriCare Kawana Waters we spend time with them and their families to find out what their interests are and what types of activities they enjoy and then develop an individual plan for each resident,” Ms Poli said. The residence has a very active social committee that is driven by the residents. Some of the projects they have facilitated include the building of a new golf putting green, development of a community garden and the introduction of art therapy. 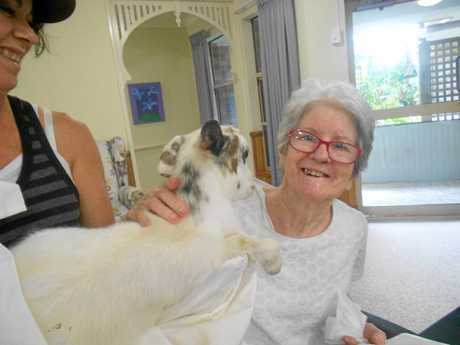 TriCare Kawana Waters resident Clare Evans taking part in the pet therapy program. They also have a great deal of input into the monthly social calendar which includes everything from pet therapy to cooking, pottery classes and gentle exercise. Moving into aged care doesn't mean you have to stop learning or sharing your knowledge and skills. One resident who was an optometrist before he retired now has a weekly glasses cleaning service for residents as part of Alastair's Sparkling Specs Service. Another resident teaches dance once a week and Dr Beale is helping with a fortnightly wellbeing clinic for staff. 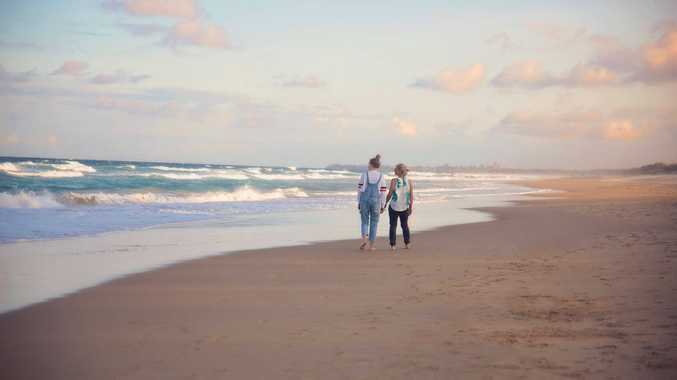 Facility manager Sue Doust believes the innovative lifestyle program at TriCare Kawana Waters is key to keeping residents engaged, happy and connected to their community. "We would encourage anyone interested in aged care to come along to our weekly morning teas, ask questions and get a feel for what aged care living is like,” Ms Doust said. Tours are free and available every Thursday morning until the end of October. No reservations are necessary. For more information phone 1300 874 227 or go to tricare.com.au.